Manufacturer: UPS Battery Center Ltd. The APC Smart-UPS 1500VA USB Rack Mount 2U - Model # RBC24 is brand new, fresh stock. 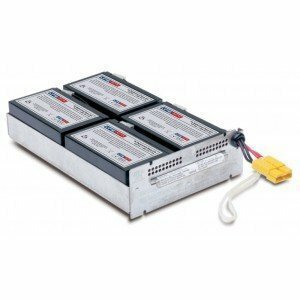 The battery pack is designed to provide excellent performance and a long service life in UPSs. This battery cartridge meets and exceeds original manufacturer's specifications.